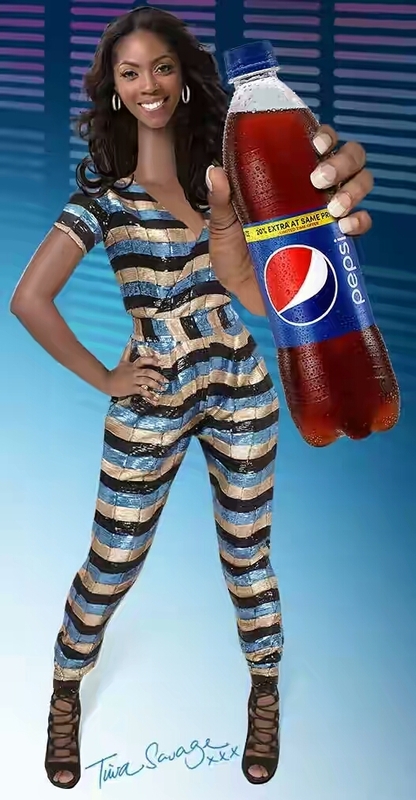 News getting to us from an insider with Pepsi confirms dropping of the Nigerian music star and Mavins first lady Tiwa Savage later this week as Brand Ambassador. Barely 72hrs after the Tiwa Savage video on marriage with TeeBillz. Meanwhile, sources confirmed that TeeBillz was arrested about an hour ago for questioning by Nigerian authorities on cocaine usage as reported by his super star wife in same video interview where she cleared the air on her marriage challenges. We can recall that Nigeria’s pop star Davido was arrested for questioning by the NDLEA; a Nigerian Drug Law outfit after a substance believed to be cocaine were seen on the footage of his music video “Fans Mi” which featured US rapper Meek Mill. more details coming soon… while we awaits the official press release from Pepsi.